January 2019: I will serve as the moderator for the "Student Career Panel" at ISSCC 2019 next month. Our paper titled "Non-Reciprocal Electronic Devices - a Hypothesis Turned into Reality" has been accepted for publication in IEEE Microwave Magazine, the IMS 2019 focus issue. Our paper titled "Integrated Conductivity-Modulation-Based RF Magnetic-Free Nonreciprocal Components: Recent Results and Benchmarking" has been published in the November issue of IEEE Antennas and Wireless Propagation Letters. October 2018: Our paper titled "A One-Way Ramp to a Two-Way Highway: Integrated Magnetic-Free Non-Reciprocal Antenna Interfaces for Full Duplex Wireless" has been accepted for publication in IEEE Microwave Magazine, the focus issue on Full Duplex operation. Our paper titled "Full-Duplex 2x2 MIMO Circulator-Receiver with High TX Power Handling Exploiting MIMO RF and Shared-Delay Baseband Self-Interference Cancellation" has been accepted to the 2019 IEEE International Solid-State Circuits Conference. This work is a collaboration between Columbia University and Oregon State University. June 2018: I'm excited to announce that I will be joining Massachusetts Institute of Technology's department of Electrical Engineering and Computer Science (EECS) as an Assistant Professor in July 2019. I will serve as a panelist for the 2018 EECS Rising Stars workshop in October at MIT.. 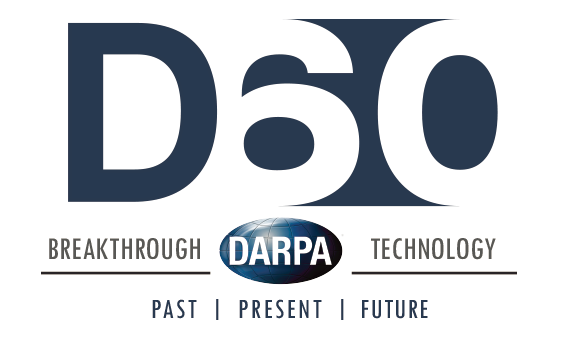 I have been selected by Defense Advanced Research Projects Agency (DARPA) to participate in the D60, the Agency's 60th Anniversary Symposium, as a DARPA Riser. April 2018: Our paper titled "Analysis and Design of Commutation-Based Circulator-Receivers for Integrated Full-Duplex Wireless" is accepted for publication in the IEEE Journal of Solid-State Circuits. March 2018: I was invited to attend the iREDEFINE 2018 workshop at ECE Department Heads Association (ECEDHA) Annual Conference in Monterey, California. I will give an invited workshop talk on magnetic-free nonreciprocal components at IEEE International Microwave Symposium in Philadelphia, June 2018. February 2018: Our paper titled "Full Duplex Circulator-Receiver Phased Array Employing Self-Interference Cancellation via Beamforming" is accepted to the IEEE Radio-Frequency Integrated Circuits Symposium (RFIC) 2018. Our Nature Electronics News and Views paper titled “Coupled Resonators Give Direction” is out (Link). November 2017: I made it to Forbes '30 Under 30' list in Science category, class of 2018. 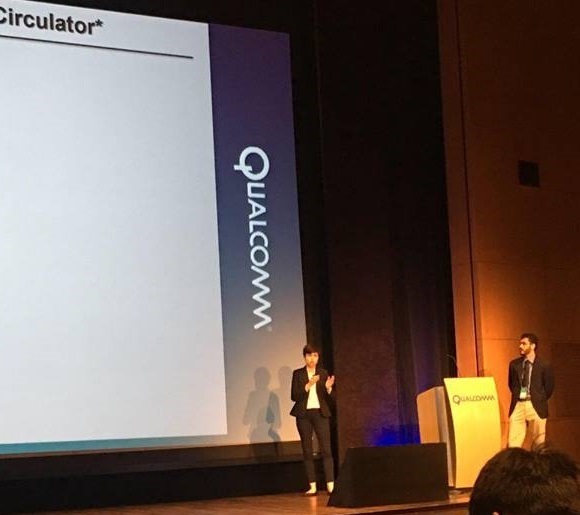 Ahmed and I had the opportunity to present our work under the Qualcomm Innovation Fellowship (QInF) at Qualcomm HQ. May 2017: Our group will have an invited paper at DAC 2017 and an invited keynote presentation at ESSCIRC 2017, featuring our magnetic-free nonreciprocal components. April 2017: Fortunate to have the opportunity to present my research at Caltech as part of Caltech's Young Investigator Lecture Series in Engineering and Applied Science. Caltech's Young Investigator Lecture Series in Engineering and Applied Science, hosted by the Division of Engineering and Applied Science (EAS) at Caltech, provides research exposure and networking opportunities for selected female and underrepresented minority (URM) PhD students and postdoctoral scholars with faculty and the Caltech community. February 2017: Check out the Columbia Columbia EE article on my recent achievements. I have been chosen as a recipient of 2017 IEEE Microwave Theory and Techniques Society (MTT-S) Graduate Fellowship. I presented our paper and demo at ISSCC 2017, San Francisco, CA. January 2017: Our IEEE Communication Magazine paper is accepted for publication. I have been chosen as a recipient of ISSCC ADI Outstanding Student Designer Award 2017. I presented our invited paper titled "Fully-integrated Non-Reciprocal Components Based on Linear Periodically-Time-Varying Circuits" in SiRF conference in Phoenix, AZ. December 2016: I have been chosen as a recipient of IEEE Solid-State Circuits Society (SSCS) Predoctoral Achievement Award 2016-2017. The press release for our Nature paper was the 10th most popular news release on Eurekalert! in 2016. Our demo has also been accepted for presentation in ISSCC 2017. October 2016: Our paper titled "Highly-Linear Integrated Magnetic-Free Circulator-Receiver for Full-Duplex Wireless" has been accepted to the 2017 IEEE International Solid-State Circuits Conference. Our work has been featured in the Columbia Engineering Magazine Fall 2016 issue. Check out pages 42-43! September 2016: Ahmed and I presented our poster at Qualcomm Innovation Fellowship winner's day. Our Nature paper's story is featured on Columbia Engineering and Columbia EE websites. 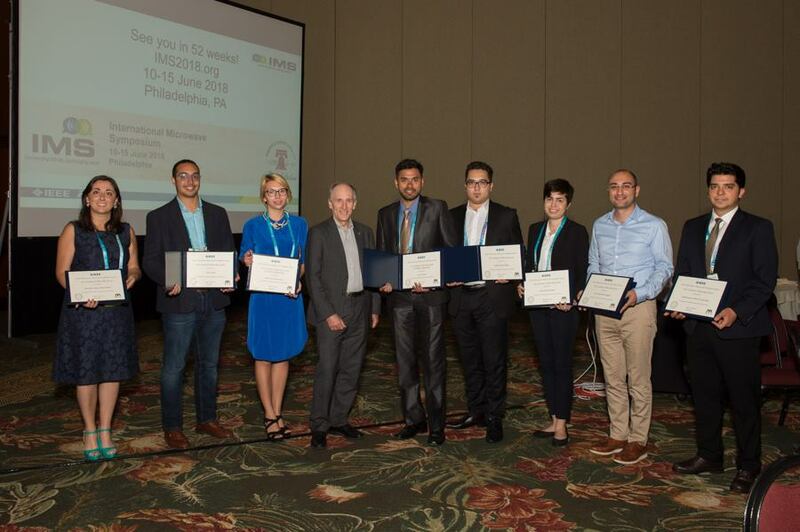 May 2015: I presented our paper entitled "Design of All-Passive Higher-Order CMOS N-Path Filters" in RFIC 2015, Phoenix, AZ. January 2014: I passed the Doctoral Qualifying Exam (DQE). 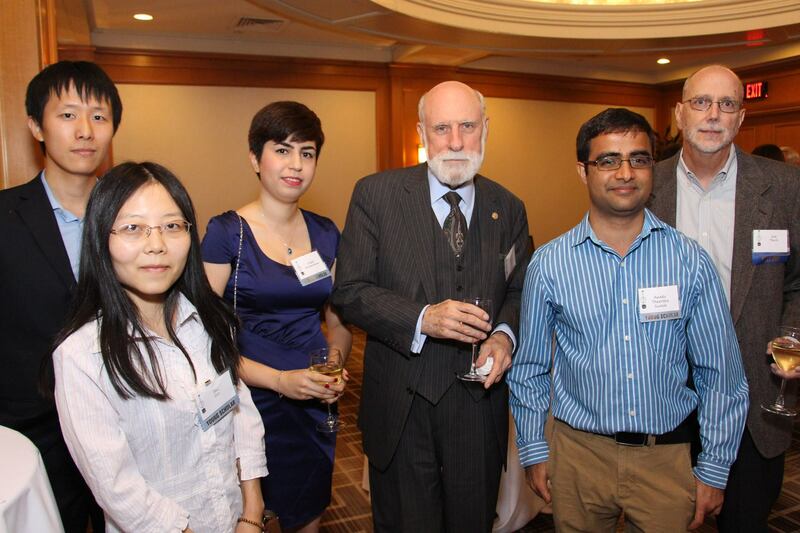 September 2013: I joined CoSMIC Lab as a PhD-track student.